After watching recent Systm episodes, I decided that I would try and get into electronics. The most specific part that I decided I wanted to get into was the AVR programming. But before I get to that, I decided that it would be a good idea to learn how to solder first! Off I went to a Maplin store. You walk into maplin and you are instantly greeted with millions of electronic things, of which I didn’t know what they were. Walking around there, for a while, I discovered some electronic kits. These “make your own” kits are manufactured by Velleman, and I can recommend them. So after browsing through the many different kits, I ended up choosing a Clap activated switch. Whilst I was there, I grabbed a soldering iron stand, as I already had the soldering iron + solder. Opening the kit presented me with millions (ok, 20) resistors, and a bunch of other electronic parts. 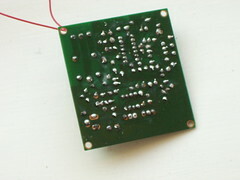 Two days later, and the solder sucker having to be used occasionally, the kit was finished. One thing I forgot to purchase was a transformer to plug it in with. After visiting maplin I came home and found the transformer was faulty. 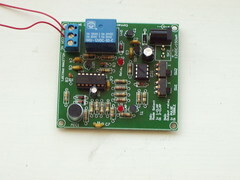 It is one of those changeable voltage transformers. This one, however, would only work when set to 6 volts. After getting a replacement, finding that it was faulty too, buying a different one instead, I finally got the clap switch to work. And am I surprised that it worked first time? Well… Yes!